We stand in support of art as a necessity in the service of life, art as a social good, and art as common inheritance of the public. 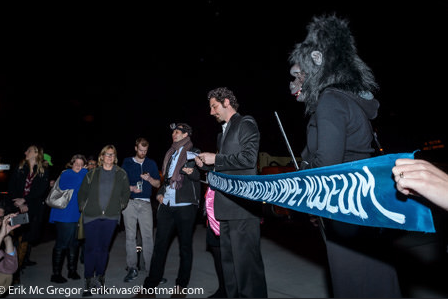 Therefore, we cannot ignore when art museums allow the public good that art engenders to be misused by powerful corporations in an effort to build credibility when their activities create environmental damage and rights abuses. The sponsorship of art by the fossil fuel industry has long been a public relations ploy aimed at obtaining a social license for destructive profit-making. 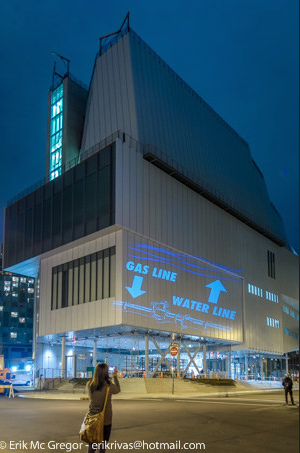 With the new Whitney museum in New York, the public now has an example of a museum that literally incorporates fossil fuel infrastructure into its foundation. The vault of the controversial Spectra gas pipeline is concealed underneath the Whitney museum’s front steps. 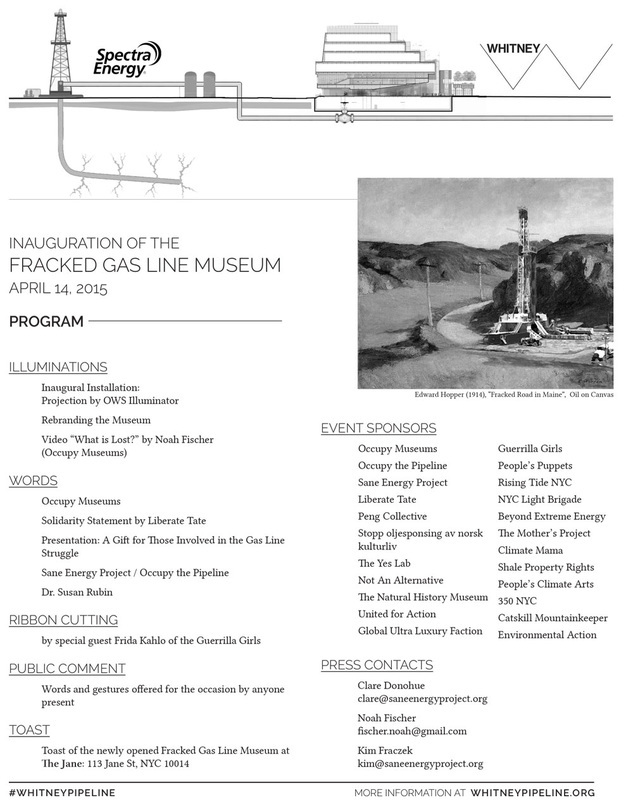 Today we are asking: how can a museum that literally covers up the dirty fossil fuel industry be a beacon for the future of art and culture? 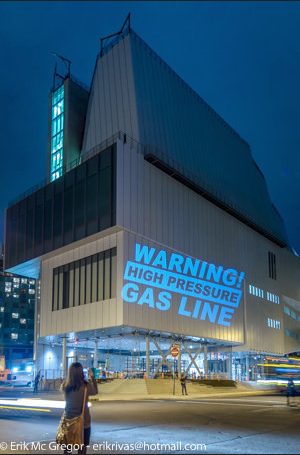 This summer, we will host a public assembly in the neighborhood of the new Whitney, and hope that representatives of the museum will be present and active in this important dialogue on art and fossil fuels. 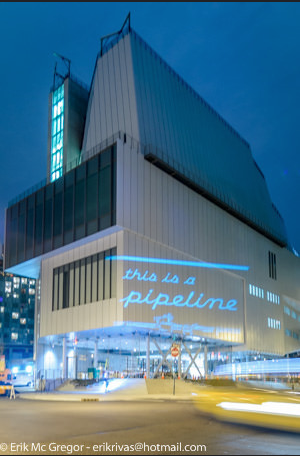 The Whitney museum can make active choices now to be a force for good on the right side of history for the future of New York and the planet, for a culture beyond fossil fuels. Citizens and institutions worldwide are withdrawing support for the continued extraction of fossil fuels that should be kept in the ground. 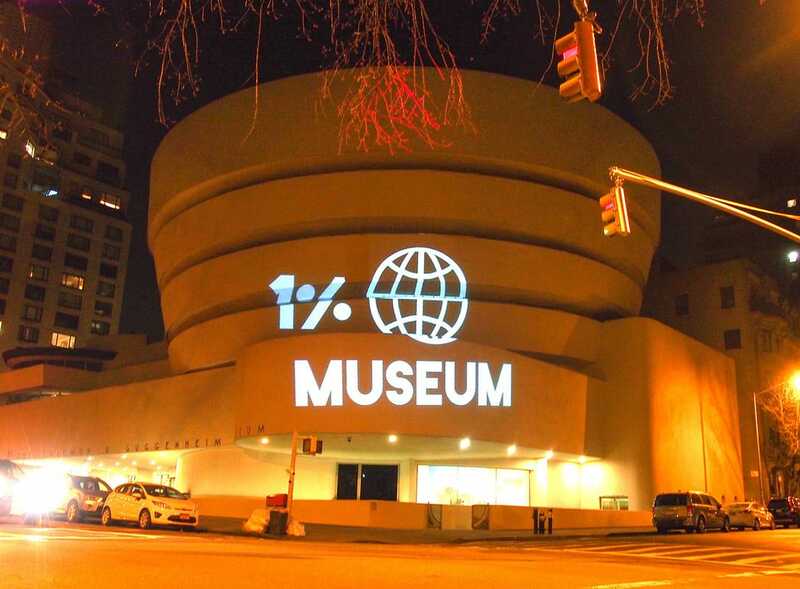 In arts and culture, from London to New York to Sydney, momentum is building for museums to end their connections to the fossil fuel industry. 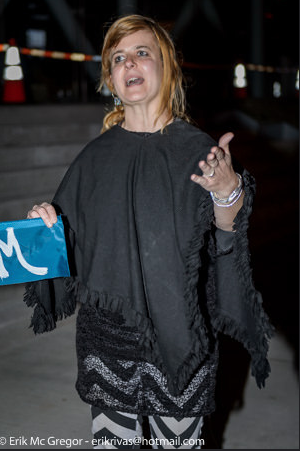 In the UK, artists including Liberate Tate are calling for Tate to culturally divest from the oil company BP. Recently, dozens of leading scientists signed a letter initiated by The Natural History Museum, to remove climate change underwriter David Koch from the board of science museums, and for science museums to cut ties to the fossil fuel industry. The Spectra pipeline is a high-pressure pipeline that brings fracked gas from Pennsylvania and elsewhere to New York City. 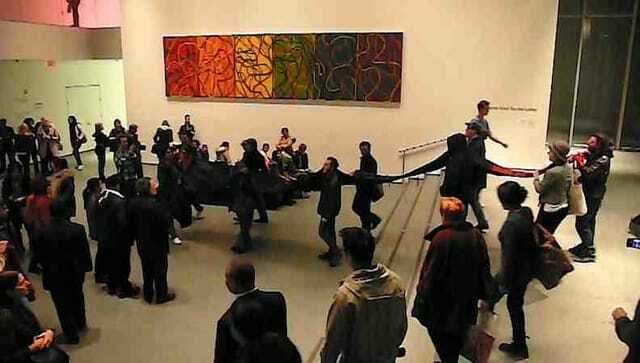 Should an accident occur, the result could be irreparable harm to the museum, its art collection, workers, and visitors. Though proponents of “natural” gas promote fracking as a relatively harmless process and claim that gas burns clean, the overall extraction process of fracking has a climate impact comparable to coal. The fracking process pollutes drinking water, creates harmful emissions, and causes earthquakes. We have Six Key Questions for the Whitney. The people of New York have a right to know the answers to pressing questions before the Whitney opens the doors of its new location. 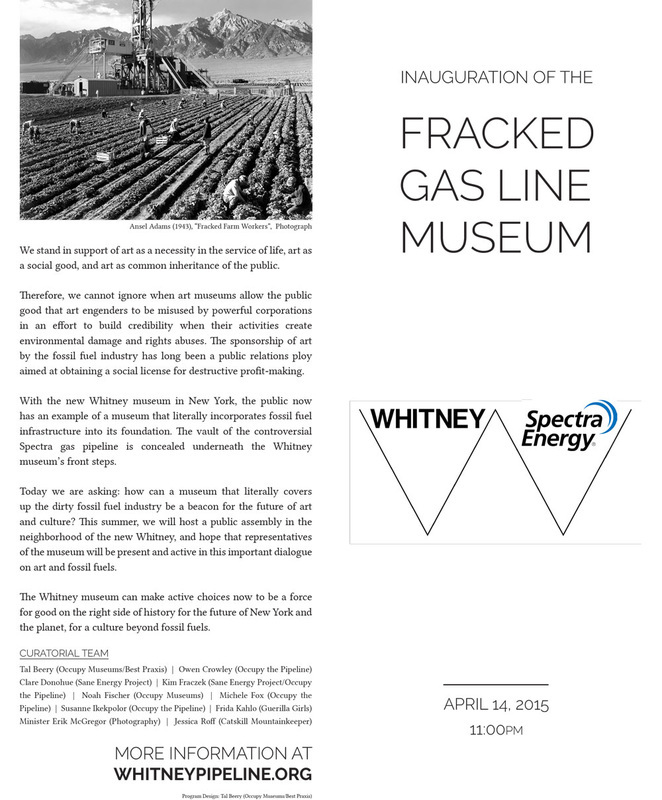 How did the Whitney come to be sited over the Spectra pipeline and its fracked gas? 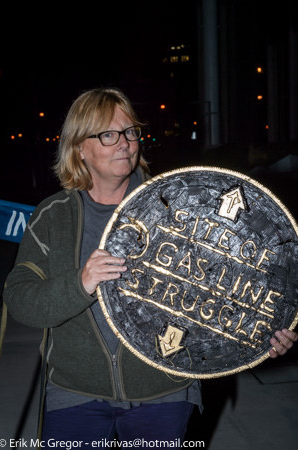 as the Whitney must be aware of how lax the maintenance and inspection rules are for pipelines, what independent risk mitigation action has it taken? 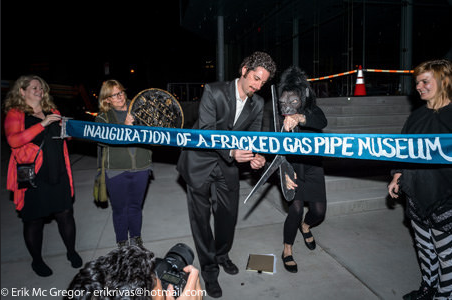 Given that the Whitney now sits on fossil fuel infrastructure, is the art museum committed to exhibit art that explores themes such as the environment, energy, and how corporations operate in society? Will the Whitney ensure that its art education, public and academic programs explore issues such as climate change and the role of art in relation to a safe, habitable environment for Americans and, indeed, all humankind? 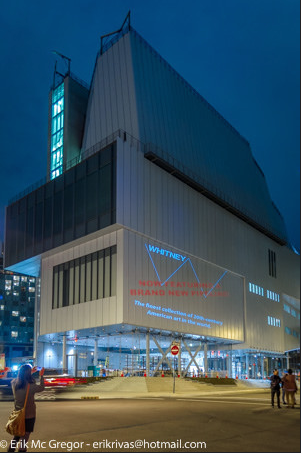 Does the Whitney believe the energy future of New York should be renewable sources rather than more reliance on fossil fuels that will add to climate change? 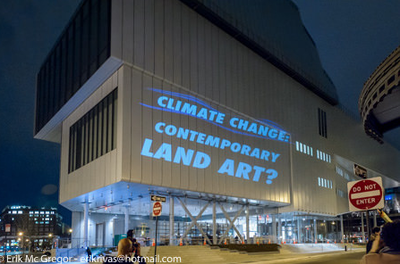 Will the Whitney move forward with new environmental and ethics policies to enable it to play a responsible leadership role in the art world and sustainability in a time of climate change, including full independence from fossil fuel interests? 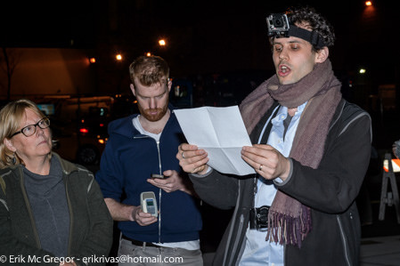 Artists, art lovers, environmentally-concerned citizens, and the media will be taking an interest in this issue, internationally as well in New York and across the USA. The decision to co-locate the new Whitney with fossil fuels cannot be ignored. 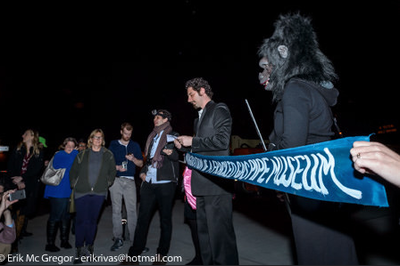 It has given a significance to the site and identity of the art museum that will resonate in the months and years ahead.